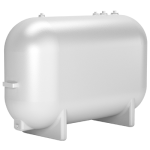 We sell a wide selection of oil tanks that meet all of our customers’ needs. From traditional steel tanks to cutting edge fibreglass models, we have something for everyone. 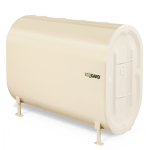 We’re proud to offer tanks from all the best brands in the business like EcoGard and GreenShield. Safety: Double bottom design helps combat the rust, condensation, sludge and contaminants that can cause oil leaks. Safety: Have exceptional strength and long-term durability that greatly reduces the chance of an oil leak. Need to replace your oil tank?